Mrs Moore took the choir to the Sunderland Singing Festival at Hetton today. The choir sang beautifully as usual. 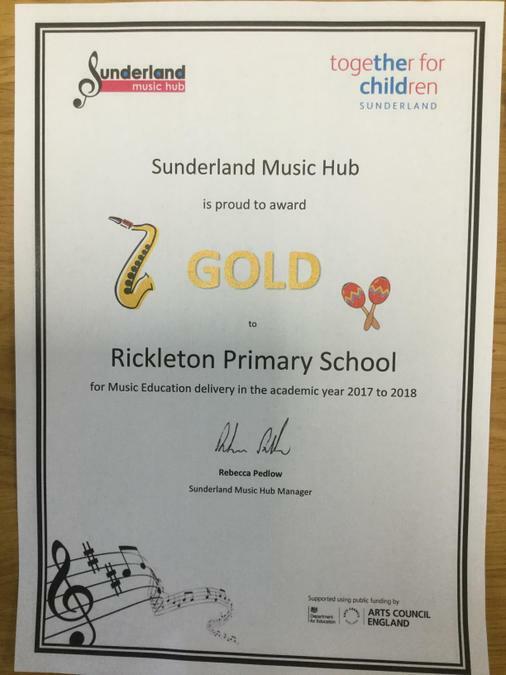 On their return we had a double celebration as the school has been awarded the Gold Award from Sunderland Music Hub for it’s contribution to music education. 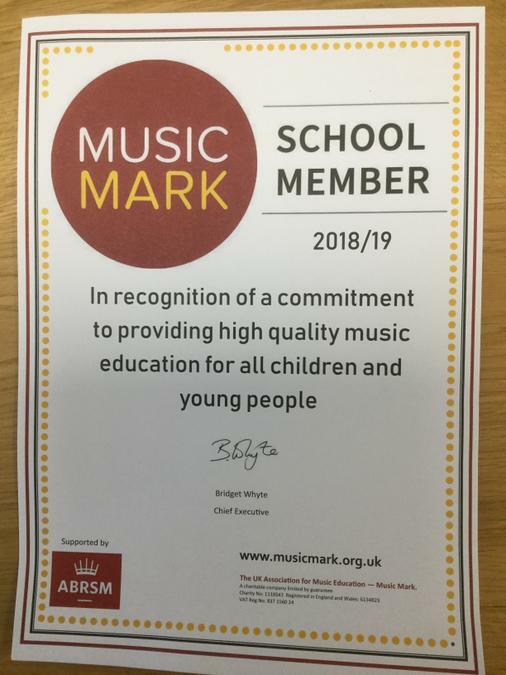 Also we have been awarded Music Mark 2018-19. Well done to Mrs Moore for leading the schools music offer and all of the staff and children for joining in so well.